The entire banking and finance industry of Sri Lanka will gain valuable insights first hand this September via an international Fintech expert from Singapore who is slated to deliver the keynote address at LankaPay Technnovation Awards 2018. Chia Hock Lai, the Founding President of Singapore Fintech Association (SFA),will speak on the future of the payment industry at this event, which is set to be kicked off on September 20, 2018 at the Shangri – La Hotel, Colombo. He will be gracing the second edition of the successful LankaPay Technnovation Awards event as the keynote speaker where as the Minister of Telecommunication, Digital Infrastructure and Foreign Employment, Harin Fernando will be the chief guest while the Governor of the Central Bank of Sri Lanka, Dr. Indrajit Coomaraswamy, will be the guest of honour. Chia boasts over two decades of experience in the Fintech industry in addition to his current position as the President of the SFA.He is a Fellow of the Singapore University of Social Science, a member of the Banking and Finance and Fund Industry panel of Nanyang Polytechnic and an advisor to start-up companies. 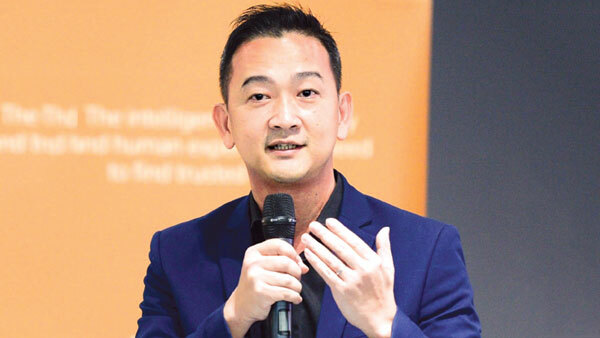 Prior to his current role at SFA, the Fintech expert contributed his services to a number of institutions, which includes the Government Technology Agency of Singapore (GovTech) and NTUC Income. Chia has a well-established track record where under his guidance the SFA has been successful in expanding is membership base to over 300 corporate members as well as the establishment of an extensive international partnership network in more than 30 countries. The leadership of Chia has enabled SFA to bag the prestigious ‘Partner of Labour Movement’ award by NTUC in 2018. Being an active contributor to the regional professional Fintech Community as a key opinion leader, he has been listed amongst the LinkedIn Power Profiles for Finance in 2018. Chia is highly passionate about the manner in which technology is continuing to disrupt the way financial services are delivered to consumers and businesses alike, and in the process, making the entire financial system more efficient and inclusive. A strong believer of collaboration and connectivity, Chia conceptualized the SFA to be a linking platform among all market participants and stakeholders in the Fintech ecosystem in order for solutions to current issues can be implemented while best Fintech practices are promoted in a collaborative, open and transparent manner. His efforts also include educating, informing and communicating the relevant and required information within stakeholders while fostering innovation. One such effort is the Fintech Talent Programme, which is a practitioner-led career development exercise for those passionate about the evolving financial services industry and conducted over a period of two months. Furthermore, in an effort to fight the mounting financial crimes Chia, together with the SFA, joined hands with multinational mass media and information entity Thomson Reuters to work closely with financial institutions, local universities and startups where much focus is exerted on leveraging emerging technologies to solve issues around financial crimes. Chia is expected to share valuable insights from his vast experience in the financial services industry, challenges faced and the way forward at the Technnovation Awards. LankaPay Technnovation Awards 2018 is planned to be held in grand style, after a very successful inaugural event last year, under the apt theme ‘Recognizing Excellence and Convenience’. The event aims to recognize and reward the payment technology innovators who have successfully addressed the emerging lifestyle needs of people by taking customer convenience to new heights.